What a grand quilt this will be. 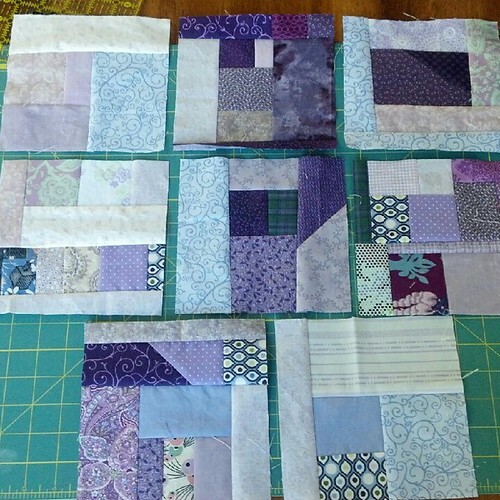 I love the colors and it is a great way to use up scraps. Please show us when you have them all together. Love those yellows! Beautiful. I have this same kind of pattern in mind but am going to do it in a diagonal pattern with the colors. I saw that some place and it was very dramatic. How'd you collect your stash to get the right colors? How do you make the blocks? 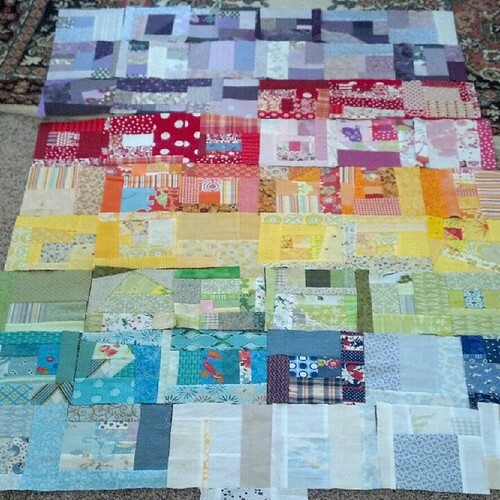 I am not a scrappy quilt person, but this one intrigues me for my scraps!